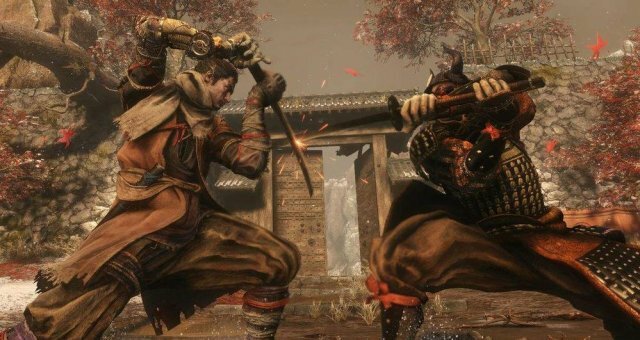 This guide provides tips and strategies to help new players understadn Sekiro's combat systems. Sekiro is a great but difficult game and some players might have trouble coming to terms with its combat systems and possibly, being ashamed to admit that they are getting their ♥♥♥ kicked and not having much fun. Contrary to the Souls games, Sekiro does not allow you to summon friends or strangers to help you with difficult boss. Your only solution is to "git gud". As a Souls Veteran with hundred fo hours of play across all games , from Demon Souls to Bloodborne, it took me around 5 hours to come to fully understand how Sekiro combat system works. I don't play games to have fun, I play games because I like to be challenged and for the feeling that I have mastered a system. I don't mind replaying the same boss fight over and over for 3 hours until I "get it right" and destroy my enemy with a flawless execution. If you are like me, chances are that you will probably enjoy Sekiro very much because it is a game built around this philoosphy. If not, chances are that you will get frustrated very quickly and give up. That would be a shame because like most Miyazaki's games, Sekiro teaches very important life skills: observation, persistence and patience. So, If you are interested in learning more about Sekiro's combat systems, read on! The most important thing to remember is: do not play sekiro like you played Dark Souls! In Sekiro, hacking and slashing is the best way to get your ♥♥♥ kicked. You should approach each fight like a real life duel: dispatch your opponent as quickly as possible with a few precise and deadly moves. The tempo should be : 1,2,3 death. Sekiro's combat is like a game of rock, paper, scissor. Your objective is to deplete the health bar but rather than hacking and slashing, the best way to do that is to break your enemy's posture. Posture is like armor, once its broken, it almost guarantees a deathblow. To break your enemy's posture while protecting yours have to use all 4 basic moves. Each enemy type requires a different strategy. Basic soldiers: a few attacks then a deflect and then a counter to finish them. Spear soldiers: use a special counter that you can purchase as a skill. Feathered Ninjas: opposite strategy, be ultra aggressive. Attack and dodge rather than deflect. Most bosses require a combination of dodge, deflect and attack to be defeated. How do you chose the right approach? Obseravtion. Each enemy more or less telegraphes his attacks. Learn to read the enemy movement. Some special attacks trigger a red "danger" kanji. Your priority is to learn to read these attacks and how to counter them. In the central Hub, where you find the sculptor you can find a guy to train with and learn the basic moves. If you are new to the genre or having troubles, I recommand to spend some time practising with him. It will be time well spent. In any case, you will die a lot. It's part of the process. Do not worry too much about Dragonrot by the way, talk to Emma after the first onset and she will develop a cure. Later, you can buy items that cure Dragonrot. Combat is one thing but how you approach it is also important to guarantee victory. Do not take on many opponents at the same time. Stealth kill as much as possible and finish the remains. Focus on the grunts before taking on a mini-boss. 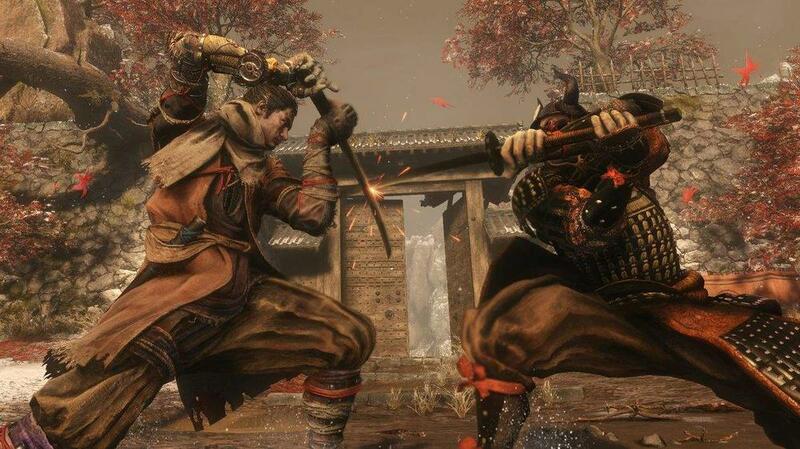 Sekiro offers high mobility: move around, grapple, retreat, use hit and run tactics if needed. Before making a move, take a minute to analyze the environment from a vantage point. Eavesdrop on enemies to learn information. Some ennemies can be grappled (green icon) like the Ogre and the boss on horseback. Use it to close the distance and deliver blows. You can find gourd seeds, prayer beads and memories that upgrade your attributes. Explore the world and defeat enemies to get these items. Bring gourd seeds to Emma. Some ennemies require you to come back to them once you are stronger. Explore a another path, get some upgrades and come back later. Shurikens are great against dogs. Firecrackers are great to stun all enemies even bosses (bought from the memorial mob merchant in the first area). It took me a while to understand something fundamental: DEFLECT + ATTACK = COUNTER. By the end of the game, I realized that I was only parrying then attacking, with a pause between the parry and the attack, not actually countering. To make a counter, you have to deflect then press attack quickly to make a counter. The difference is that a counter deals a lot of posture damage making it much easier to kill a lot of enemies, even bosses. The trick is to know when you can counterattack. Some attack patterns require to just deflect and others leave a window for a quick counter. As usual, you have to practice and learn but once you get it down, it makes a big difference. Some enemies don't lose much posture. In that case, you have to chip away at their health before starting to build up posture. Focus on dodging and counterattacking. Quick moving enemies usually fall in that category. Other enemies are quickly dispatched by parrying and deflecting. In many cases, it's a good strategy to run past the enemies. Wait for them to lose you then retrace your steps to backstab them. Do it if you feel overwhelmed. Sekiro offers a lot of options but I have spent most of the game using mostly shurikens and firecrackers. Upgraded firecrackers are great to stun bosses. To be frank, I haven't found combat arts to be super useful. In my opinion, it's better to invest in skills that give you passive and permanent bonuses. The Ashina skills line that you get after the boss on horseback by helping some character nearby with a quest (kill "rats") is great for that. The only exception to the combat art so far is the mortal draw skill because you can spam it even if you run out of emblems. Maybe it will be patched out. In the meantime, you can buy it from a merchant hiding inside a house after the old grave idol. At one point, you will gain a pupeeter technique that allows to turn enemies by backstabbing them. Do not waste your time on headless mini-bosses. You need strong stats + divine confetti + pacifying to fight the terror status. Fighting them early will cause you to waste these items for nothing. Come back to them later in the game.